Click the Title or Photo for more information / vendor forms. 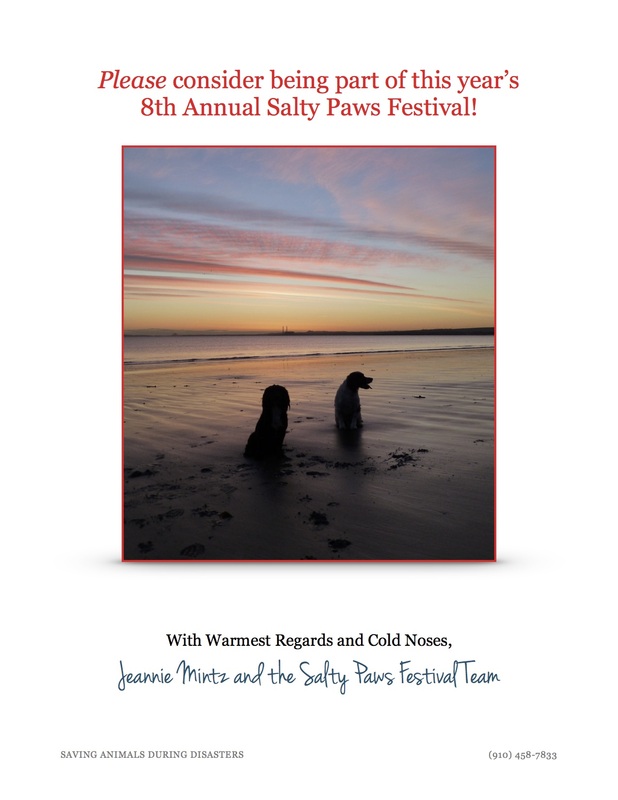 After an incredibly successful festival last year, Saving Animals During Disasters is excited to announce the eighth annual Salty Paws Festival! 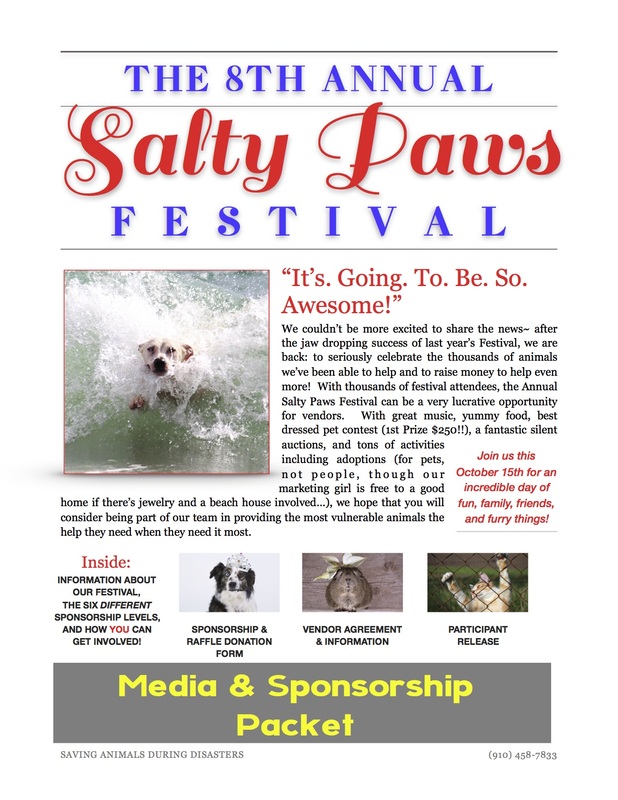 The Salty Paws Festival is hosted by Saving Animals During Disasters, a 501c3 non-profit organization whos goal is to aid in the rescue and support of animals affected by disasters, whether natural or manmade. 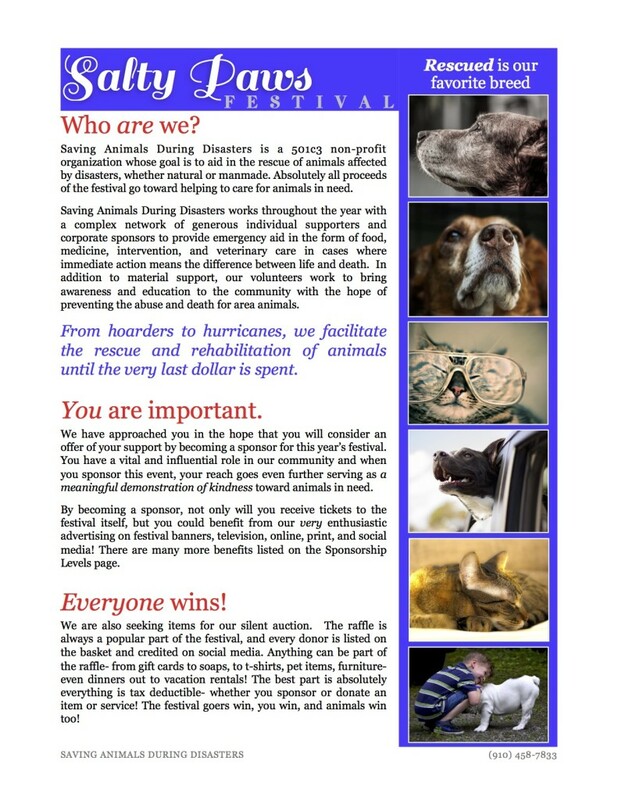 All proceeds of the festival go towards helping to care for animals in need. Saving Animals During Disasters works with a network of generous individual supporters and corporate sponsors to provide emergency aid in the form of food, medicine, intervention, and veterinary care in cases where immediate action means the difference between life and death for animals with no other means of help. In addition to material support, our volunteers work to bring awareness and education to the community in hopes of preventing abuse and even death of animals who have no one else to advocate for them.